Renamed as Hangsen USA branch, Jasper is officially merged into the leading vaping giant company-Hangsen International Group. Jasper was founded in 2014 by a team of enthuastic vapers who always want to create desireable products for vapors. 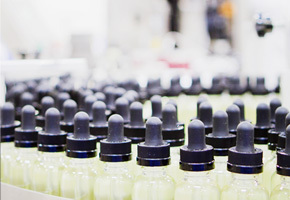 With major investment from Hangsen, the largest e-juice manufacturer in the global vaping industry, it has become a leading e-juice manufacturer in United States and established the Council Of Vapor brand. Over the last 3 years, Jasper has launched vaious famous products like Royal Hunter RDA and Minivolt Box Mod. Since Europe and US FDA introduced their regulations on vaping products respectively, Jasper feels the needs of strong financial and technical backing to sustain and further grow in the new regulated environment. Therefore it decided to fully merge into Hangsen and become a fully owned subsidy by Hangsen Internationl Group Ltd, and rename itself as Hangsen USA LLC. 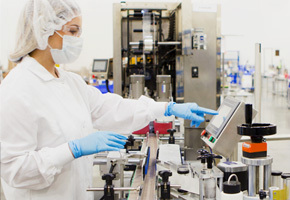 Joining Hangsen China and Hangsen Poland as part of Hangsen Global, it has now over 500,000 square feet of manufacturing facility, CNAS and FDA certified laboratory and over 80 engineers. It is now in a better position than ever to provide global manufacturing solutions to our clients. In Hangsen USA, the new management team is working closely with Hangsen R&D team in bring out the next generation of hardware to the market. If you are interested in receiving more information about them, please email info@thecouncilofvapor.com or sales@hkhangsen.com. By partnering with Jasper Technology, you'll join a domestic and international network that is able to reach corners of the earth that may have been previously thought impossible. Our dedicated network allows us to easily enter multiple marketplaces to promote and retail any number of products that meet our standards. 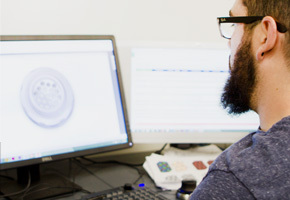 From concept, manufacturing, distribution, and marketing, we have the capabilities to fulfill all of your company needs. With a wide variety of in-house services available at your disposal, moving from the concept in your head to global distribution is a breeze. Let us take all your manufacturing headaches away. We are always several steps ahead of the competition from accessories, to mods, to portables, and e-liquids to maximize profit margins. We set the bar high, let us be your one-stop solution! Partnered with the best and the brightest in the e-cigarette industry, it is our goal to provide vendors and retailers alike with in-demand products that satisfy the needs of every tier in the vaping industry. Jasper Technology Spotka z o. o.